Ending hunger in America is an achievable goal. 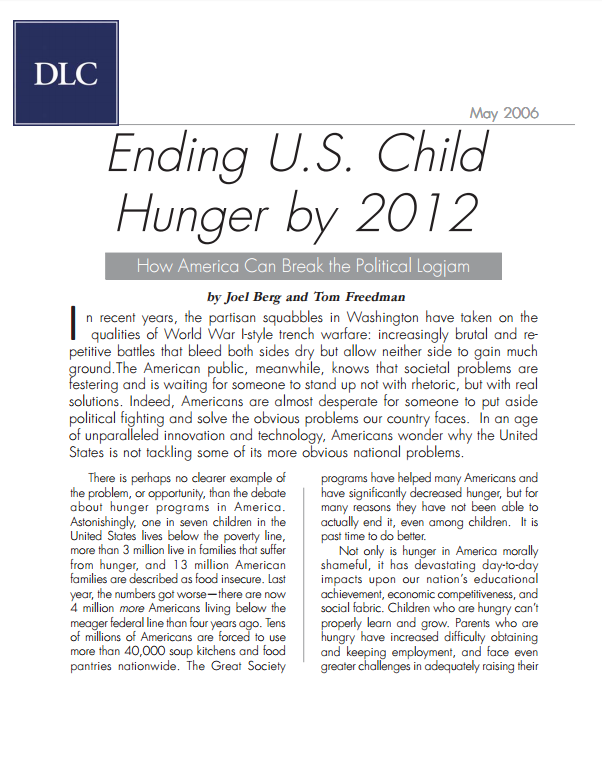 This paper outlines an agenda to end childhood hunger. This agenda can both win middle-class support from across the political spectrum and empower low-income Americans to take charge of their lives.